After an incredible long and wasting flight we finally arrived in Scotland … ahh heaven … at our first stop, the Mecca of golf, St.Andrews. 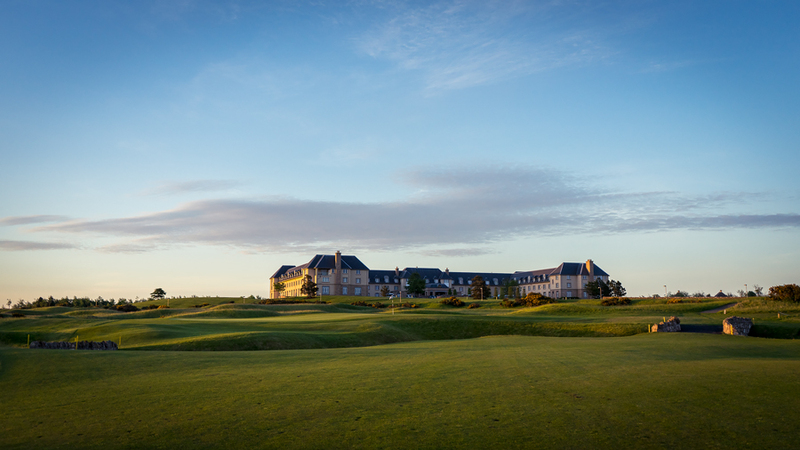 The first two days we stayed at the mind blowing Fairmont St. Andrews. What a nice hotel, we really should have stayed there longer. 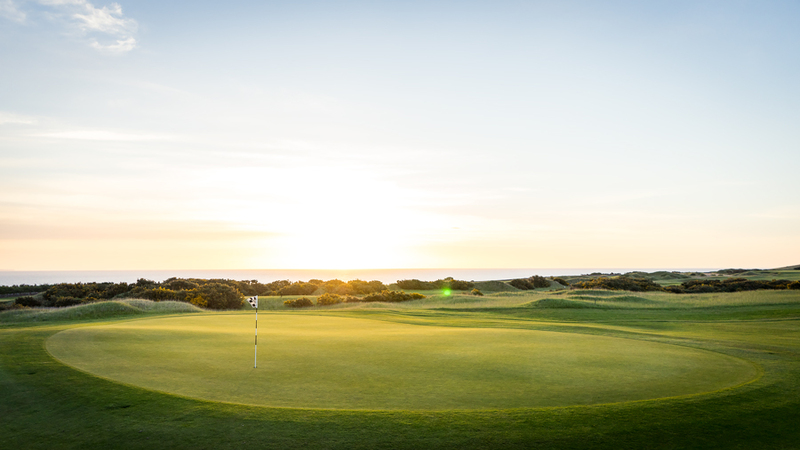 It’s the perfect place to calm down and to enjoy and discover all the golf. No need to say that this is a high quality facility. From the gym, to the bar, to the breakfast or the spa. Everything is just perfect. 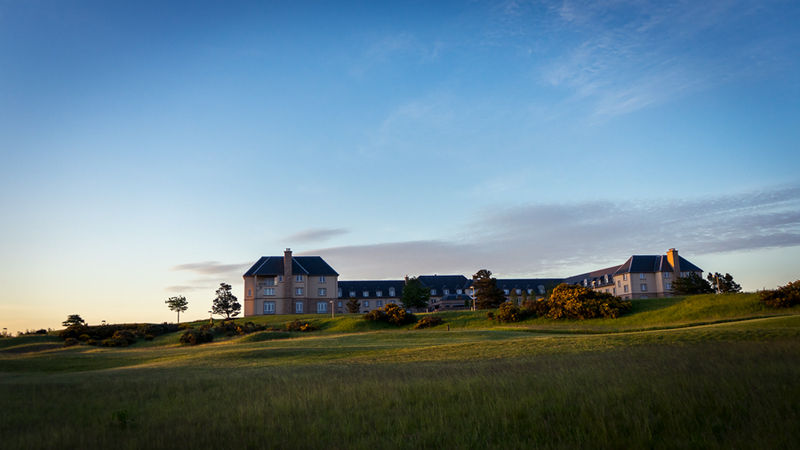 The Fairmont St. Andrews hotel is perfectly located between Kingsbarns and the Castle course and it’s just a 5 minute drive from St. Andrews town center. But the best thing are the two 18 hole championship courses of the hotel. 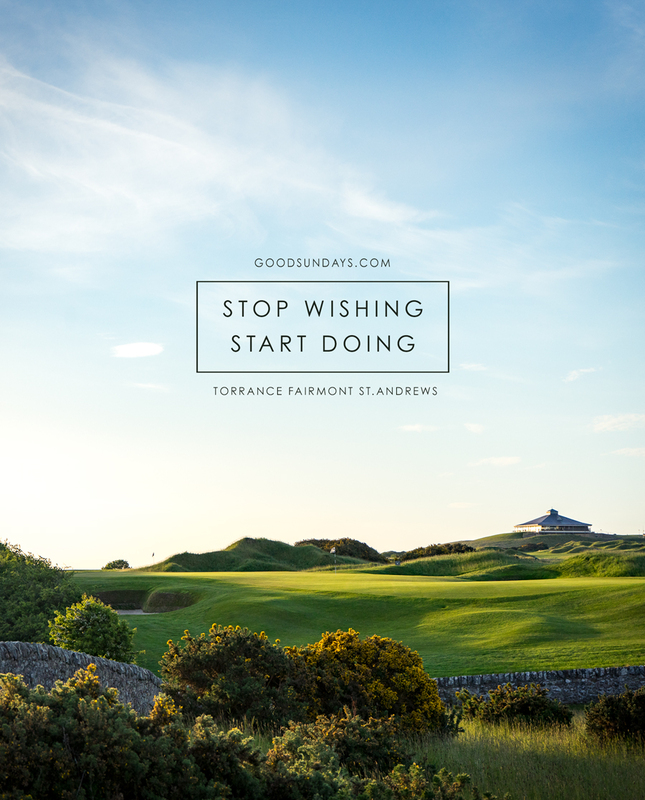 The first I played was the Torrance course of Fairmont St. Andrews. 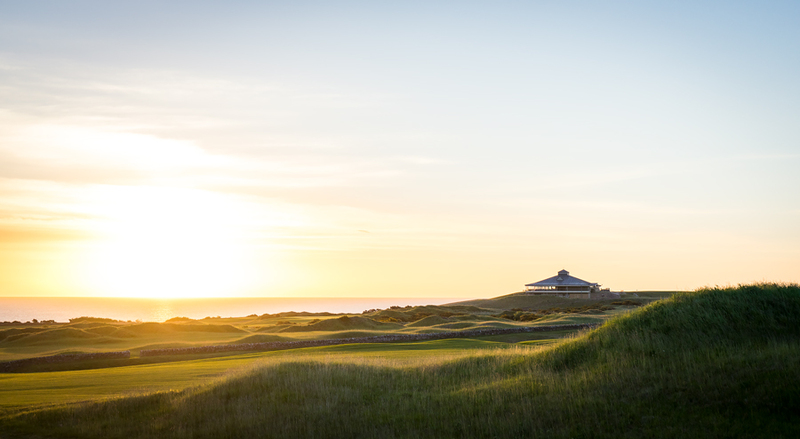 A true links course designed by former Ryder Cup and golfing legend Sam Torrance. 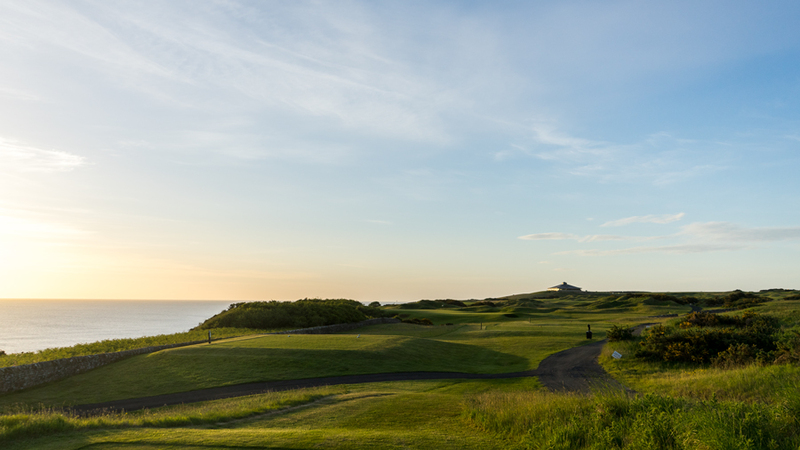 We`ve got an early bird teetime on a calm and sunny day. 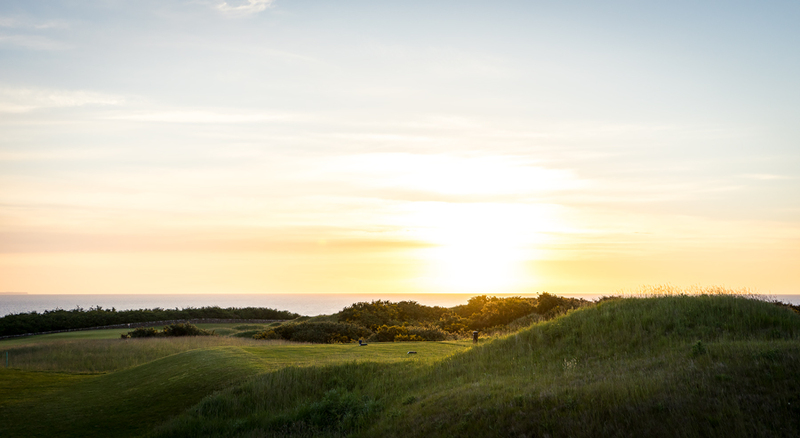 The perfect entrance for links golf. 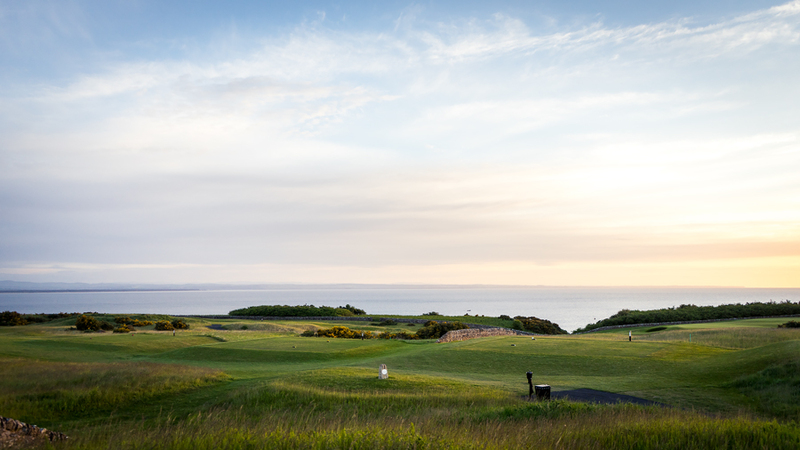 The first tee is just a minute away from the hotel and you can easily sneak there after a delicious breakfast. My recommendation: create your own omelet, just divine. Being well prepared food wise you can hit a couple of practice shots on the range which is located between the two No. 1 holes of both courses. So I walked over to the first tee of the Torrance course which is already a true tester. 520 yards from the yellow tee and equipped with typical pot bunkers all over the hole and a small creek crossing the fairway right in the middle of the landing zone of your layup shot. The greens are as you can expect fast, hard to read and with a lot of elevation. Don’t ask me why, but I got a good feeling for this course and played the first nine holes, which are located around and behind the hotel building, pretty good. 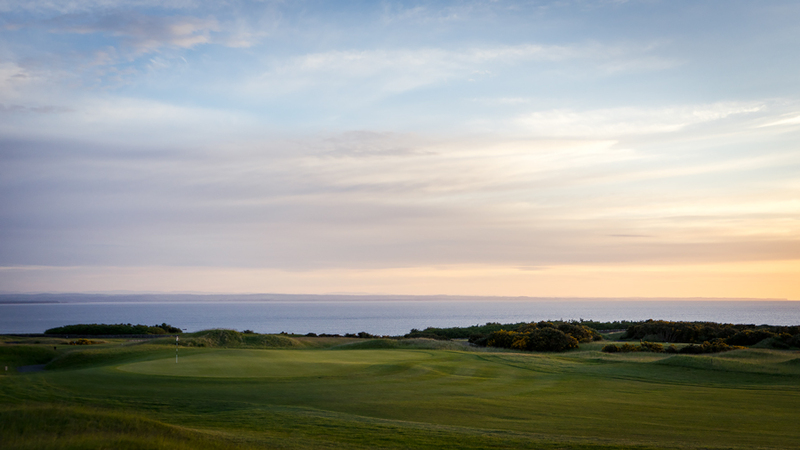 Sometimes I was very lucky on the bouncy fairways but I got an idea of how to play links golf on this course. 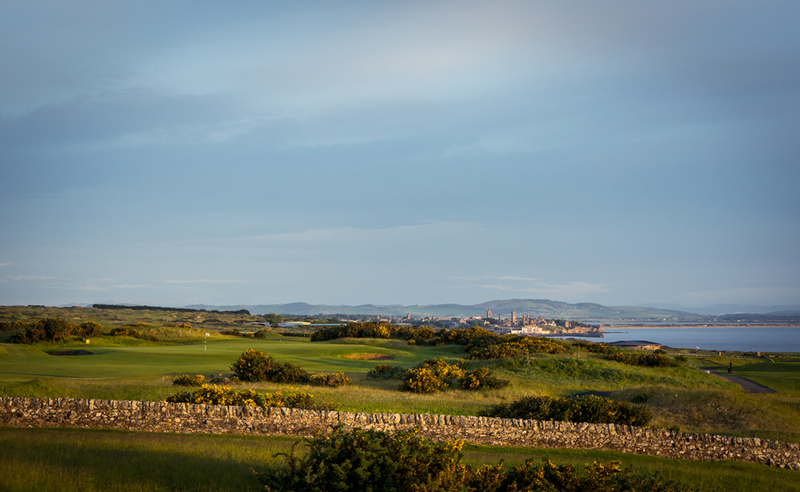 The back nine are just fabulous from almost every hole you can see the town of St. Andrews and also the ocean. Honestly we were really lucky with the weather on this beautiful morning. 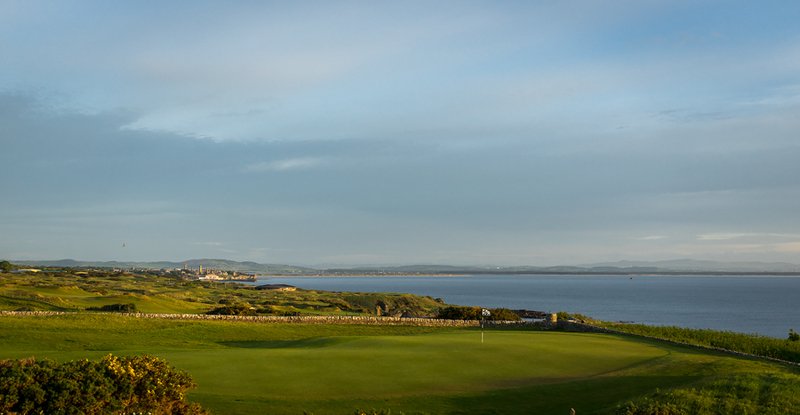 By all the beauty I could feel my heartbeat because I was playing such a nice links course in Scotland St. Andrews. 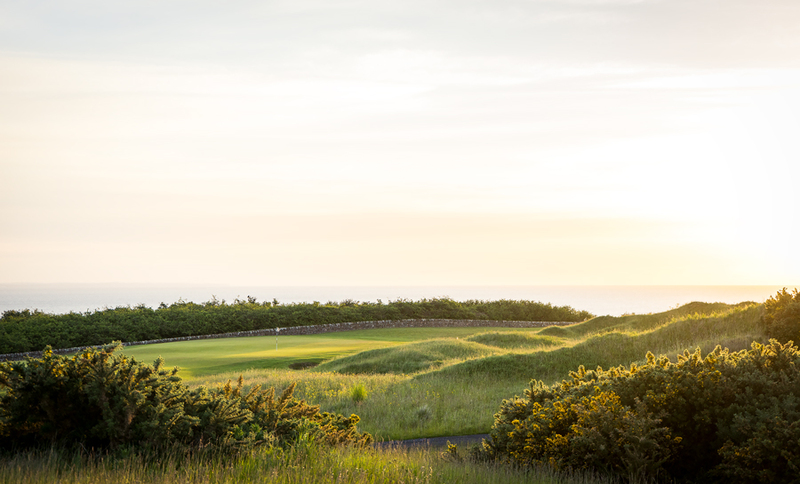 But don’t get to emotional the Torrance course is tough all over the course because of the typical pot bunkers and the beautiful but devilish yellow gorse. 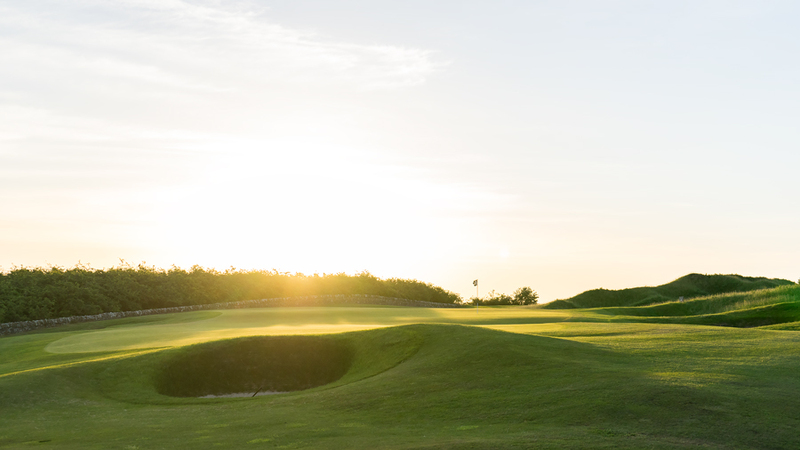 It´s a 72 par course, 5600 – 7320 yards and the design and layout requires creativity and some feeling to play links golf. In summary I totally loved it. Fast and firm greens as expected. Bouncy unpredictable fairways and score killing rough. 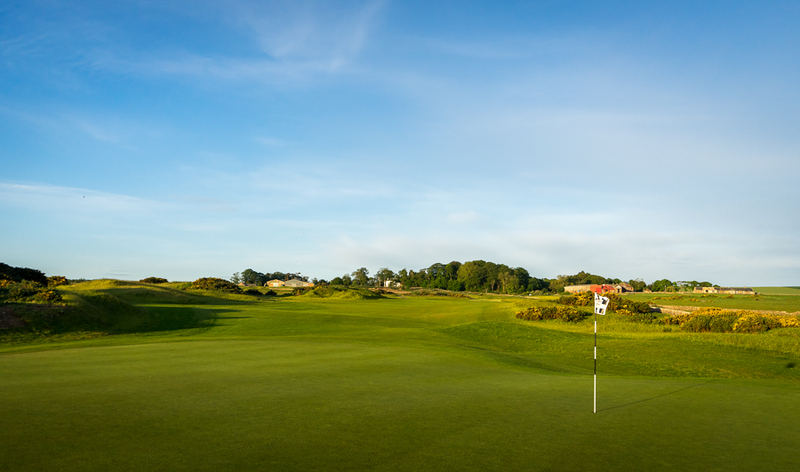 Pure links in the best conditions. 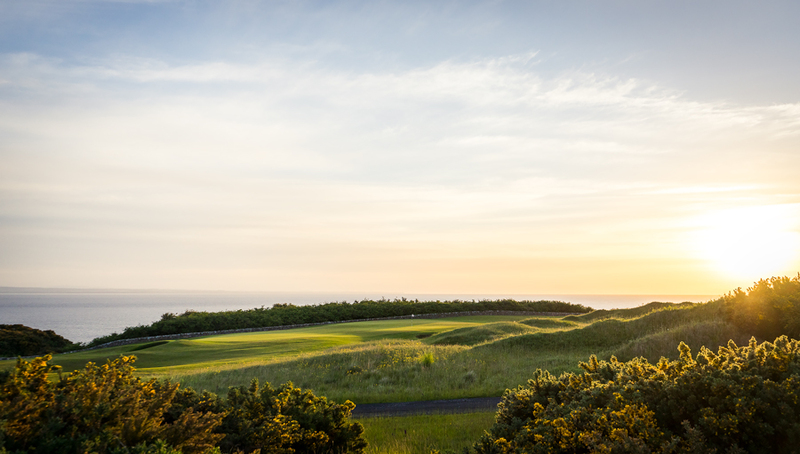 There is a reason why the Torrance course was the host of the Seniors European Tour Event six times between 2009 and 2014. My signature hole was No. 13 a mid-length par 3 with 187 yards from the white tees. From the box you have a stunning view of St. Andrews itself. 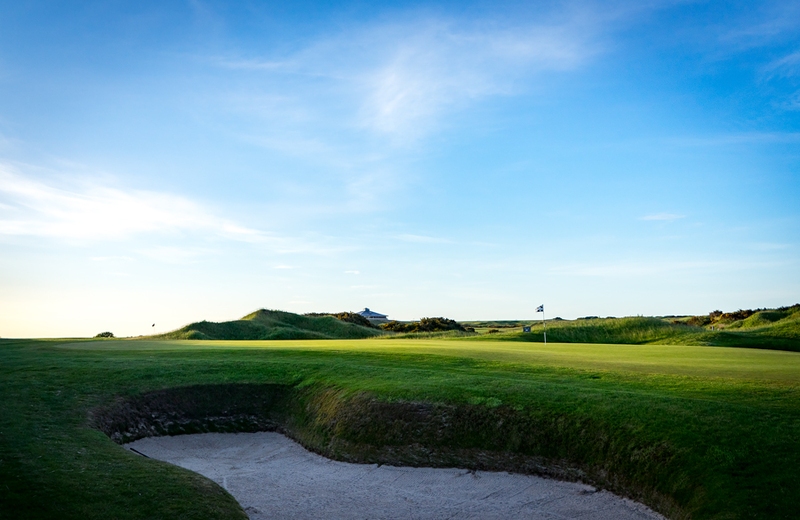 Bunkers guarding the green on the left and on the right side and behind the green the famous yellow gorse is already waiting for your ball. So don’t get to motivated. I left it short and had to pitch on the green. Unfortunately I just played bogey here. But in summary the Torrance course was so much fun to play and I really enjoyed my round. I absolutely recommend this course even or because all the other courses are so crowed.